Aura Glass is a rotating goblet that aerates your wine with the touch of a finger. 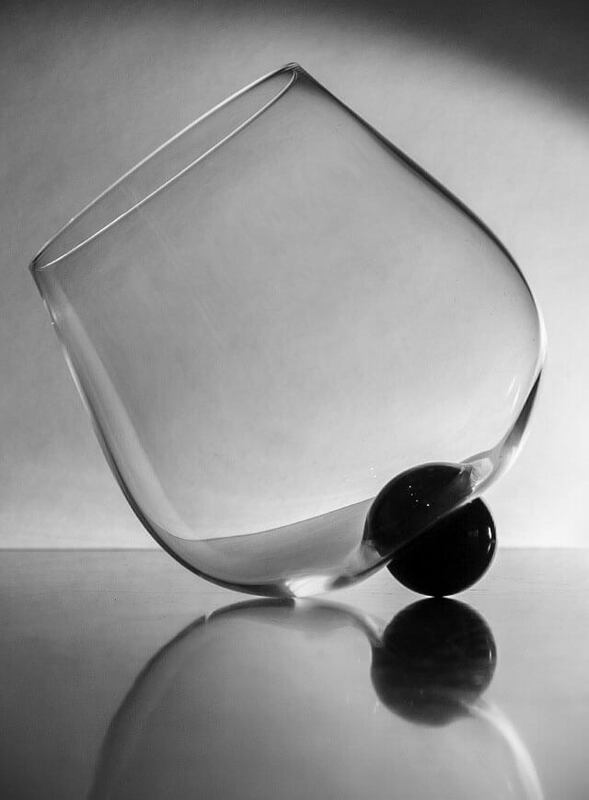 Unlike any other wine glass, Aura Glass pivots on a stainless steel ball, which blends the beverage’s aromas and flavors. As an example, Aura glass makes it easy to aerate a glass of wine without the need for a separate decanter or device. After testing the glass out with different levels of liquid, I discovered that five ounces or less is ideal in terms of getting the glass to make several revolutions. Also of import is that the surface on which it rests must be level and smooth. Pros: Holding the glass in the hand feels good, like a snifter without a foot. But, you also feel more careful when setting it down. Visually, the glass is intriguing and a great conversation piece. I found myself rotating the glass around quite a bit as I socialized. I can imagine a table with several of these glasses all spinning at the same time. Kind of like a show where someone keeps a number of plates spinning. Cons: It doesn’t aerate wine as well as a hearty swirl in a stemmed glass. Storage is a bit of an issue as you need to place it upside-down and it has a large “footprint”. Kids will want to play with this glass at dinner. Overall, it is a fun piece of glassware that will create a festive atmosphere.